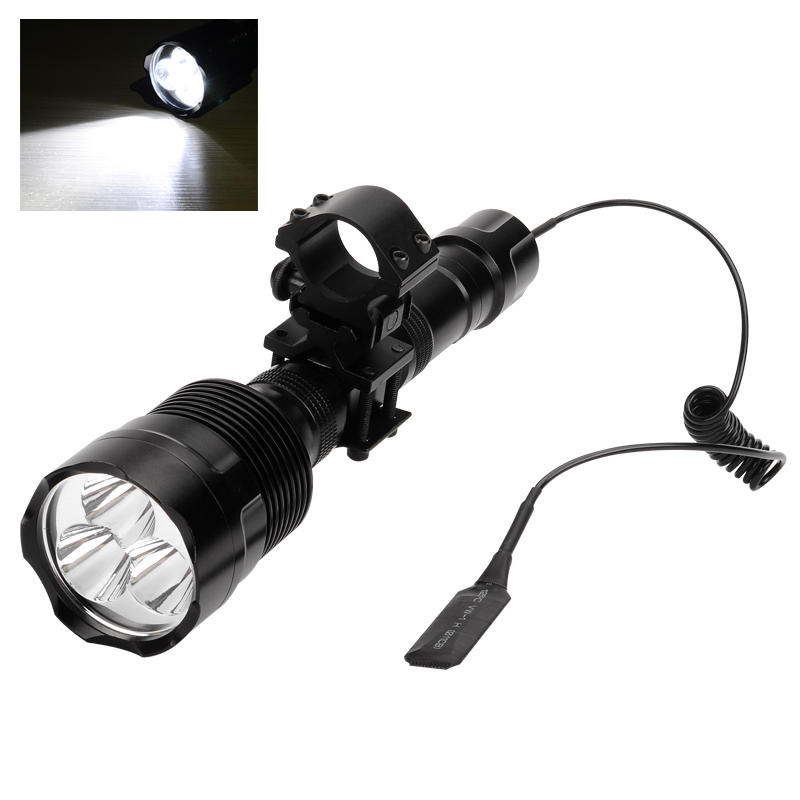 Successfully Added 3800 Lumen LED Flashlight - 3x CREE XM-L2 T6 LED, 6061-T6 Aluminum Alloy, 5 Modes to your Shopping Cart. Made from a durable 6061-T6 aluminum alloy this LED flashlight has an output of up to 3800 lumens. the super bright Cree XM-LT T6 LEDs along with the smooth reflector ensure a bright white light that can shine up to 1000 meters. This sturdy flashlight has the tools to be used in self defense should the need arise. The high powered bright light setting or flashing light is more than capable of disorientating assailants or scaring away wild animals. What's more the tough aluminum alloy construction, and crenellated bezel let you strike back with a fearsome blow should you find yourself cornered. Coming with an adjustable bracket the LED torch is versatile enough for many uses and has 5 lighting modes to meet your needs. with 3 powerful Cree LEDs that have a lifespan of 100,000 hours this powerful flashlight will be your trusted torch for years to come. This 3800 LED Flashlight comes with a 12 months warranty, brought to you by the leader in electronic devices as well as wholesale LED lights..